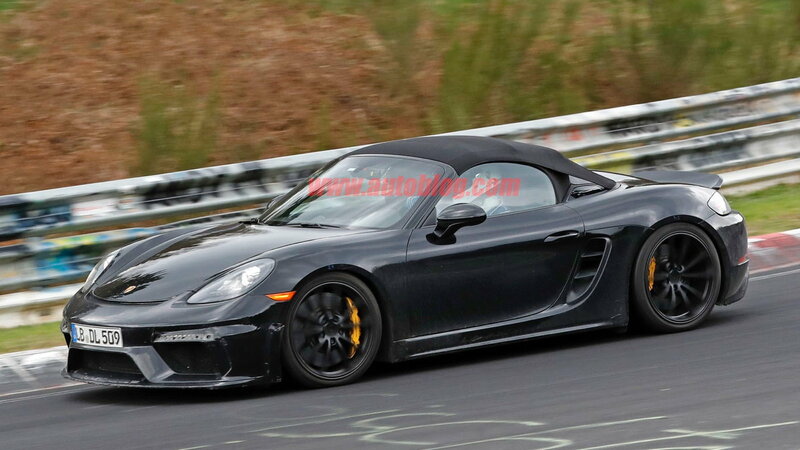 I am convinced at this point that the Spyder will be turbo, but it could still be the Carrera(S) engine in theory. A while back we were discussing the spy shot that slowed the left hand side of the rev counter, and the spacing of the numbers possibly indicating that it only goes up to 8K like the turbo cars. I found another shot that all but confirms that for me. The "7" is pretty clear and given its position there is only room for the counter to go to 8K total. sadly this is pretty clear... no pun intended. 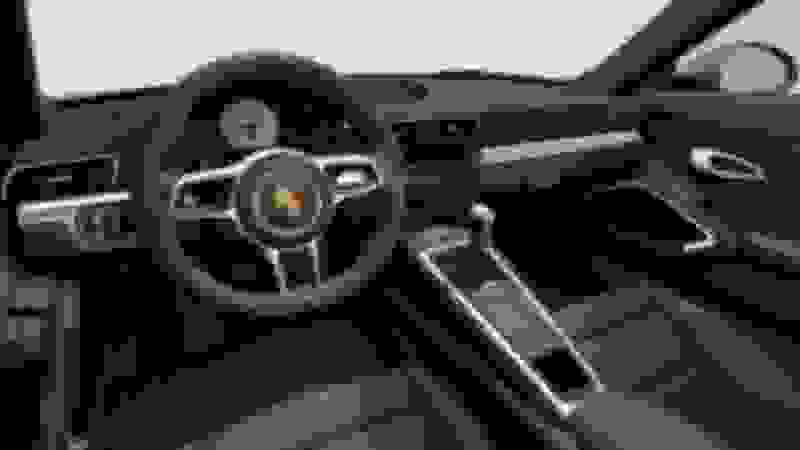 What it is is the regular 718/991.2 rev counter with a white needle. We've already seen that from another interior shot that showed the left hand side of the dashboard and rev counter. I am convinced it will be turbo. But I am leaning towards considering the 3.0 H6 from the Carrera as the most likely now. Thanks. That car definitely sounds turbo to me. yeah abosolutely. The spacing between 6-7l looks very wide, and 8k is just off screen. Looks just like my last 718 loaner. also for what it’s worth, another rennlist member who was there commented that the spyder sounded like a 4 cylinder turbo. Last edited by Five12Free; 04-17-2018 at 07:57 AM. And Sam said he has video! Sounds like my 991.2 3.0L motor! H6 turbo...you'd think they used the Carrera engine again like last time. That's what I thought. Does sound a lot like my Carrera.